Details: Fish scale shingles, ornamental porch, decorative window casings. 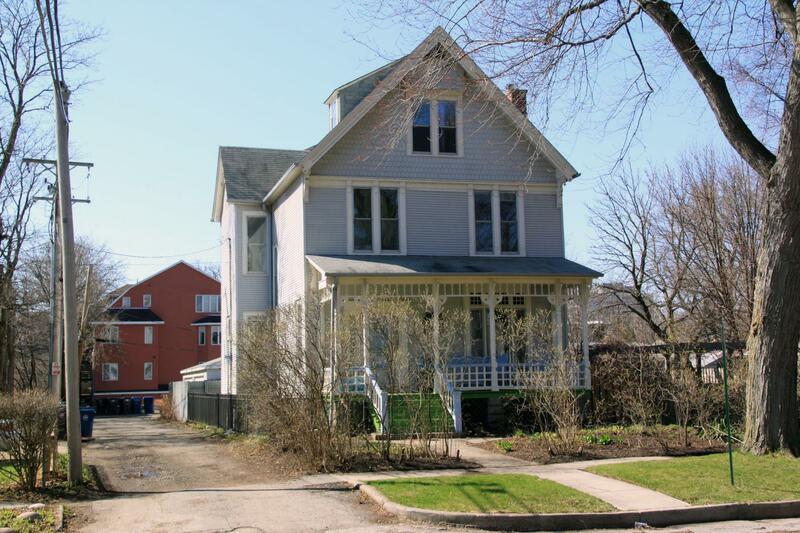 Significance: Typical of the vernacular structures built in Evanston in the 1880's and 1890's, this two-and-a-half story frame house is distinguished for the quality and design consistency of its detailing. Historic Features: Decorative porch, shingled gable (may not be original) structure's front gable has a inset bargeboard that is supported at the corners by brackets and ornamented with circular wood moldings; paired second- and third-story window lintels with ornamental details similar to those found on the bargeboard; front porch extending across the front of the house with turned posts and spindlework; doorway behind flanked by sidelights and topped by a low-relief classical cornice; adjacent is a three-part window topped by stained glass transoms. Alterations: Siding, deck addition at side, third-floor dormer and stairway were added to the side of the house in 1952. Other Permit Information: Original BP not found at EHC, earliest BP is 1906 is for a barn noted above; 1958.29.07, Permit #33606, 3rd flr dormer and an exterior stairway from 3rd flr to grade (cost $1500.). 12-Nov.-1982. BP#82-5813 to replace stairs and landings. OWN Mr. & Mrs. Gerald Raskin. 7-Oct.-1997. BP#97-37682 to rebuild garage. OWN Harris. 1-Oct.-1999. 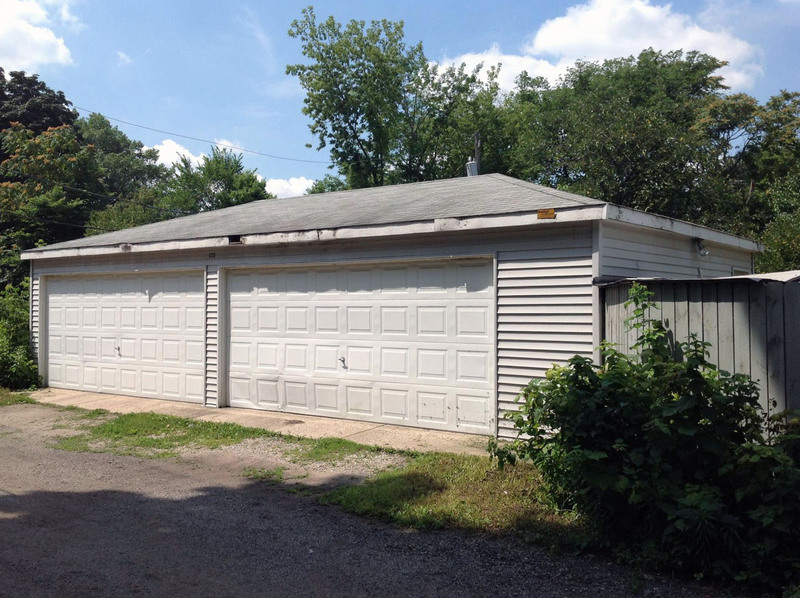 BP#99-49839 to wreck and haul existing garage and erect a detached garage with slab apron. OWN Harris. 20-Apr-2000 Inspection Report of fire damage. Roof over bedroom and portion of kitchen at north end of building. Replace burnt rafters (& ten), ridge board, ties, ceiling joists.